In other news, I had my first experience of RPG on Thursday night, and had a ton of fun with it. I joined with a local group & ended up playing in a trial run of Star Wars: Force and Destiny. 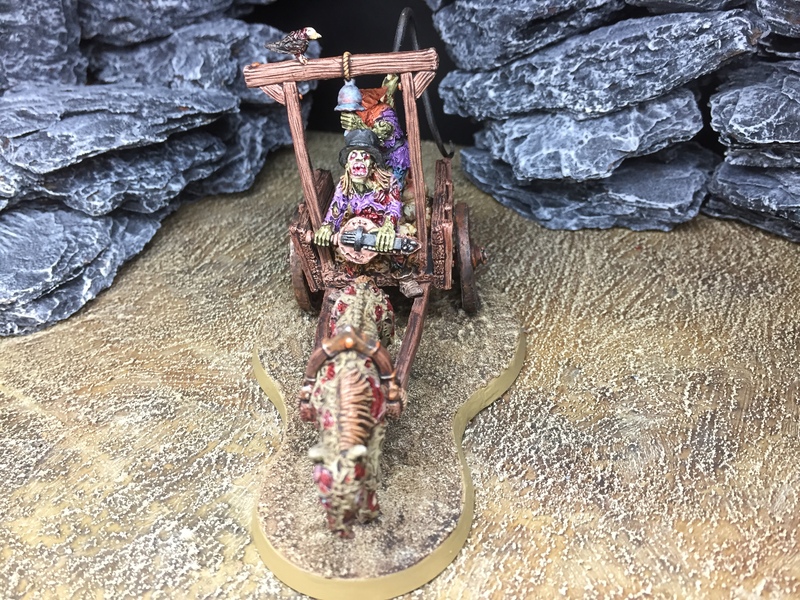 A few of the more experienced RPers on the table were quite scathing about it, and it wasn’t really what I expected to be honest – it was less ‘in your head’ and more map driven. It was also far easier than I expected, (though to be fair, it was the first act in the sequence). That said, I still enjoyed it, and had a good laugh with some very interesting group of people. I think it is fair to say that this is something that I would like to explore further, and I’m hoping to get a more authentic experience next week. Wow, nice work here. I’m in love with some of them. Besides, the mirror reflection is freakin’ awesome! You’ve done really well. Even the fact that you thought of doing it is impressive. 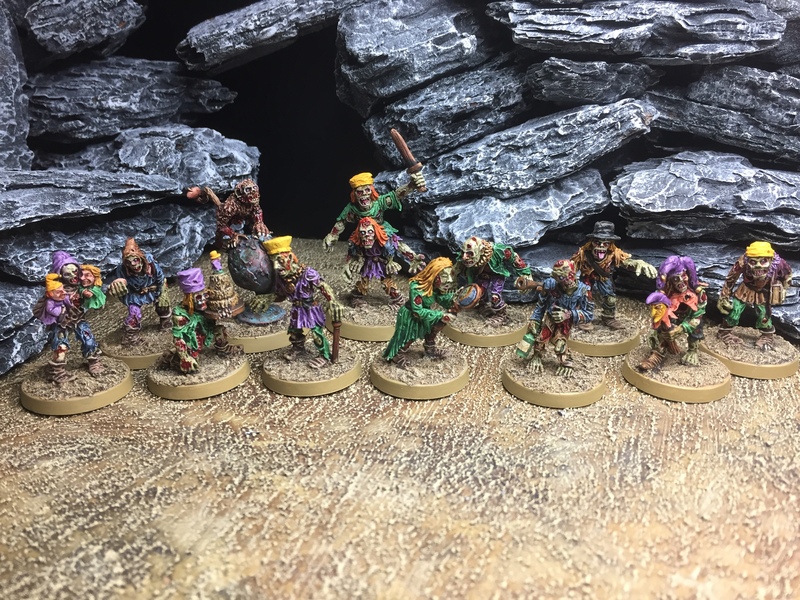 Great army, great freehand(! ), great work! Those figures are pretty cool and I’m always impressed by your output (gotta work on my speed painting!!). 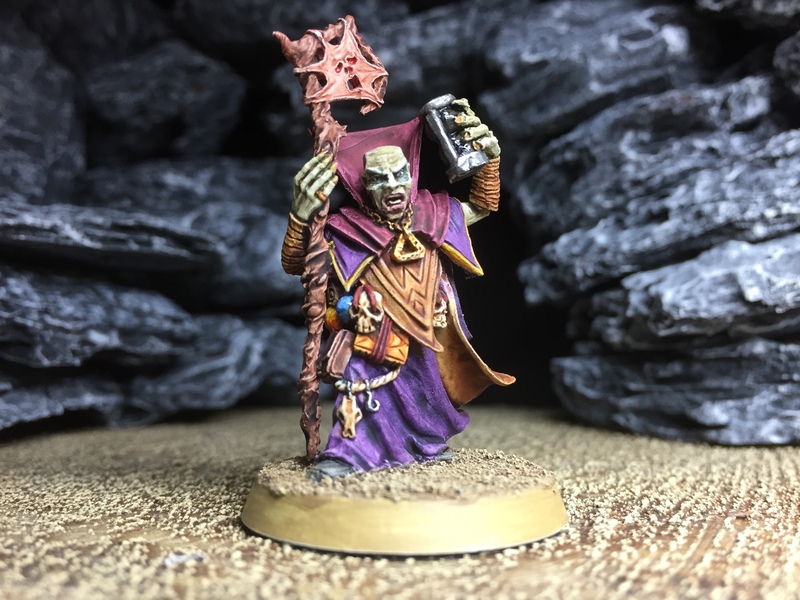 Never RPGed myself, there are a couple of guys at my work who are into (I think) pretty old school D&D (the all in your head type stuff with a dungeonmaster) but they haven’t asked me to join them (they know I’m into 40k) which is good as I haven’t had to refuse! Seems a bit weird to me so I’ll be interested to see how you get on. Apparently there is also going to be a 40k role playing game released later this year (there was one now defunct by Fantasy Flight Games I think) but I think I might just go with Talisman when they re release that this year and see if I can get my kids into it! What? 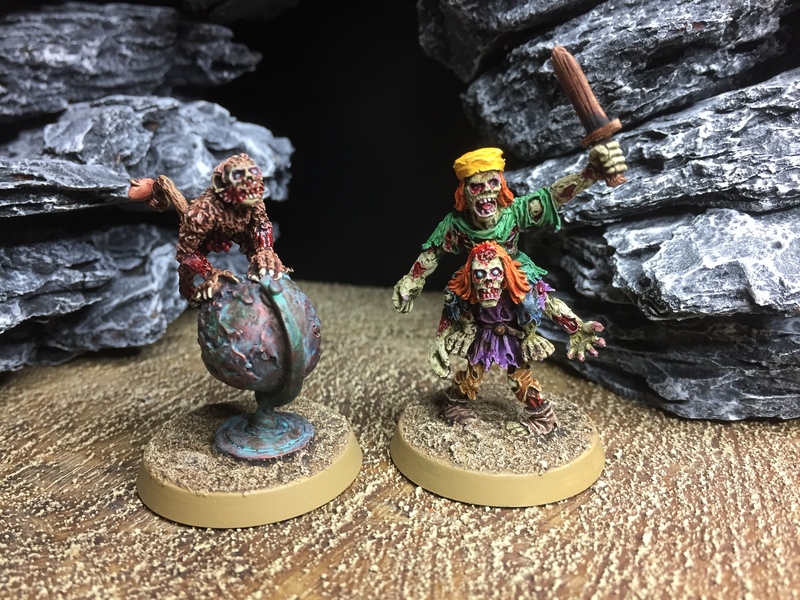 Sitting around by yourself painting loads of weird little men for a game you hardly ever actually play isn’t normal? I have to reexamine my life. FFG released a swarm of 40k RPG. The first one was Dark Heresy and was all about Acolytes and the Inquisition. Then they released Rogue Trader, a DeathWatch game, a Astra Militarum one and a Chaos one. Maybe some more. I really liked DH and RT but didn’t really bother with the rest. They felt a bit too much like a money grab to be honest. The new 40k game is developed by the same bunch of people that did the FFG ones. So many things to like here! 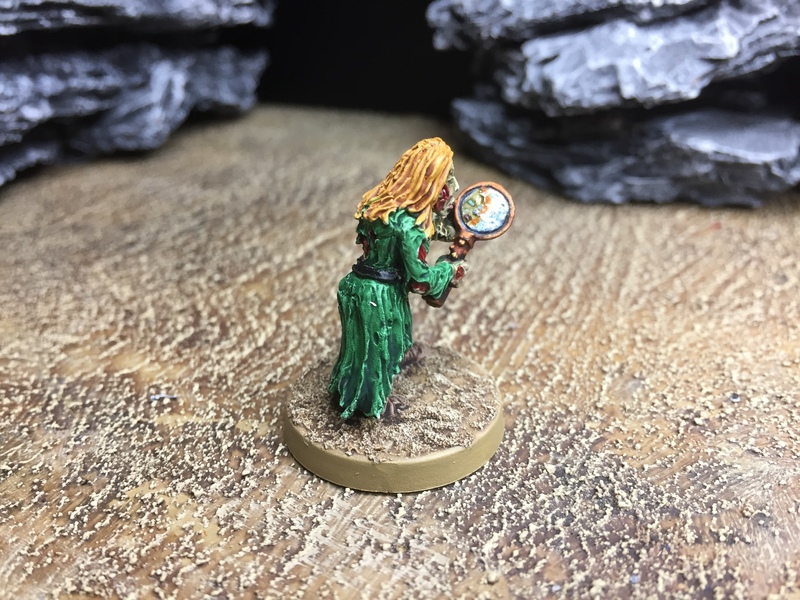 Great paintjobs on great minis, and as others have pointed out, that freehand reflection is wonderful. Glad to hear you liked your first brush with RPGs too – different groups can have very different approaches. 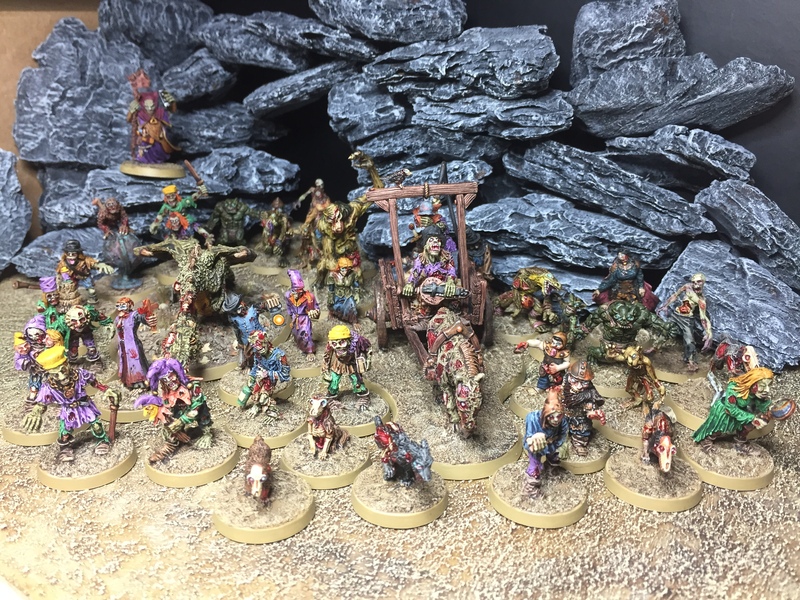 I’ve found that playing RPGs has really been a huge influence on my miniature projects as well – most of our mini games tend to be very story driven and often with a game master. 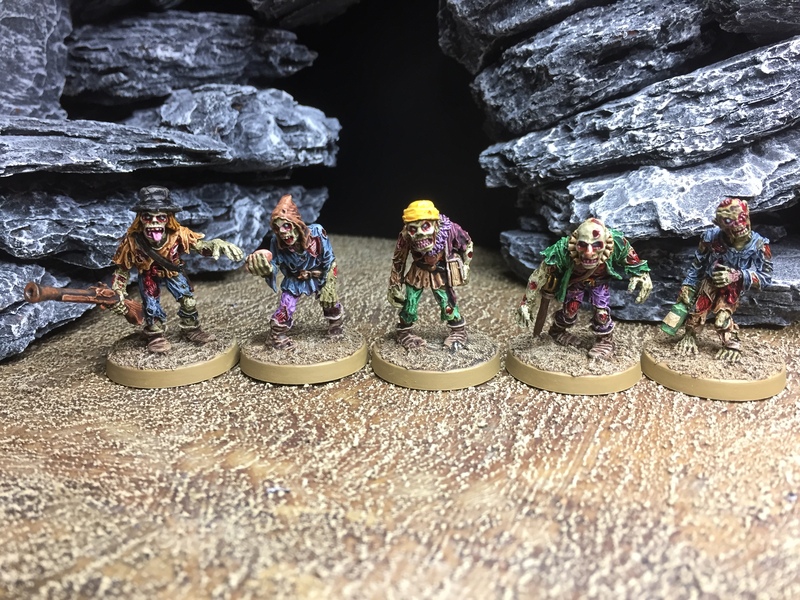 Oh and I need that zombie monkey for my small undead pirate contingent. Yes, I agree, the reflection is really something! 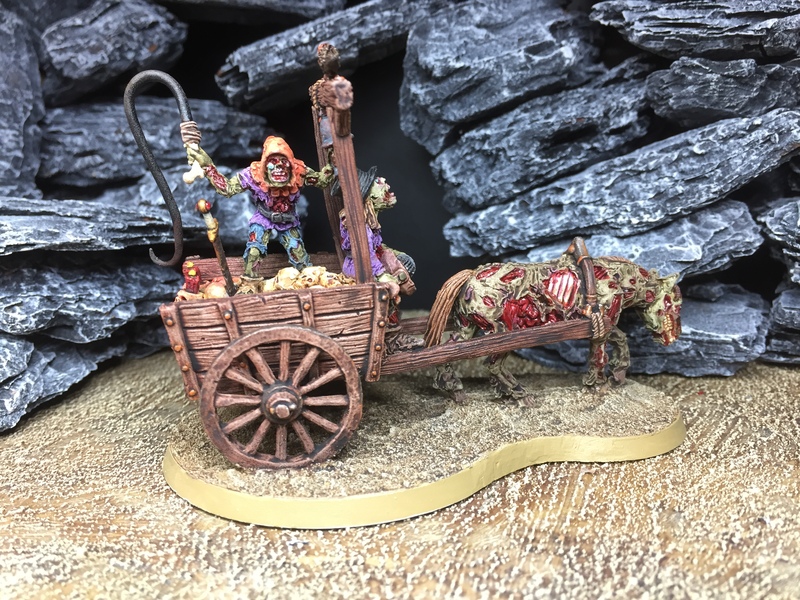 That is an absolutely amazing undead set. Awesome job. 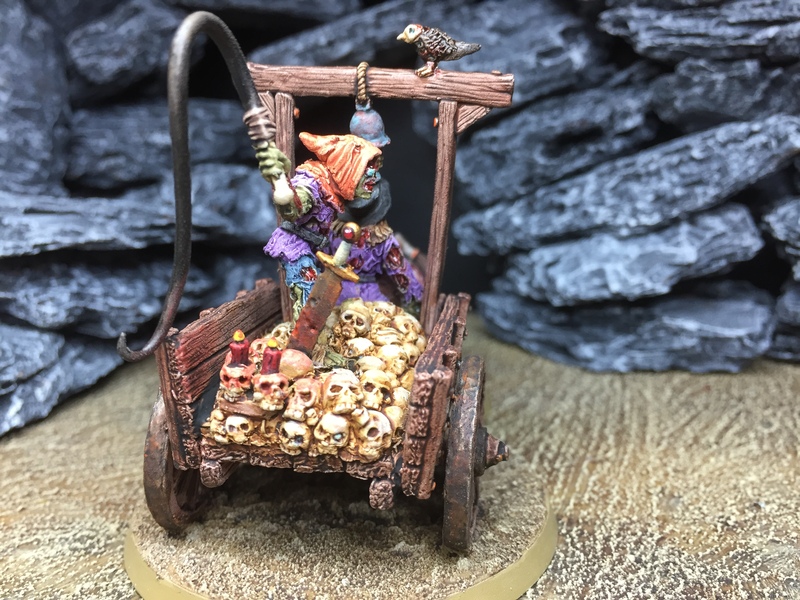 I especially love the cart. I’ll have to join the choir here. The mirror reflection is absolutely marvellous. 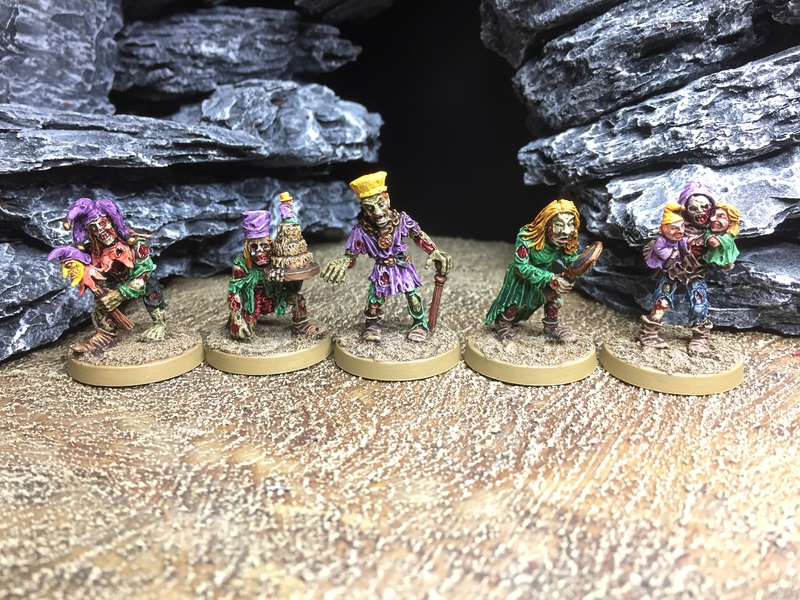 I really like this motley group of undead. I haven’t played a Star Wars RPG in 20 odd years. Anyway – a cool collection. The reflection in the mirror is subtle but really nicely done. 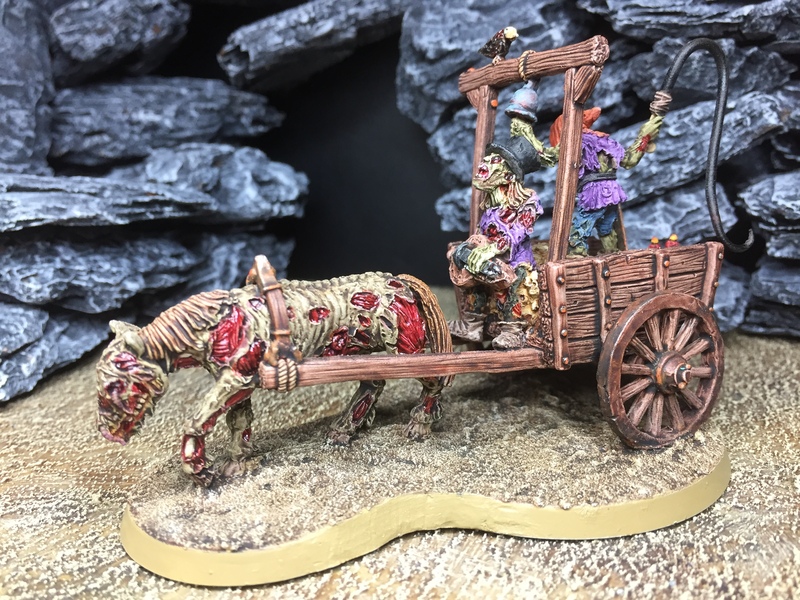 The plague cart also looks the business – I particularly like that Zombie horse! Thank you for sharing your paint job. Love the work on the mirror. 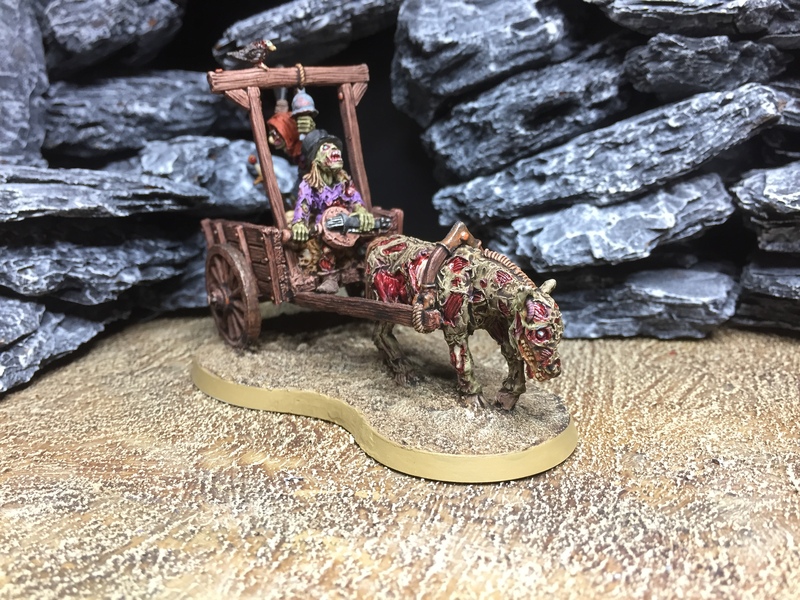 We are a small, family run endeavor and we still get a kick out of each and every review and set of miniatures we see painted. Also, we hope you don’t mind. We shared your post on our website!